The architecture firm in charge of developing Microsoft�s new West Campus in Redmond, WA approached us to design a microsite to keep internal stakeholders up-to-date on the project. 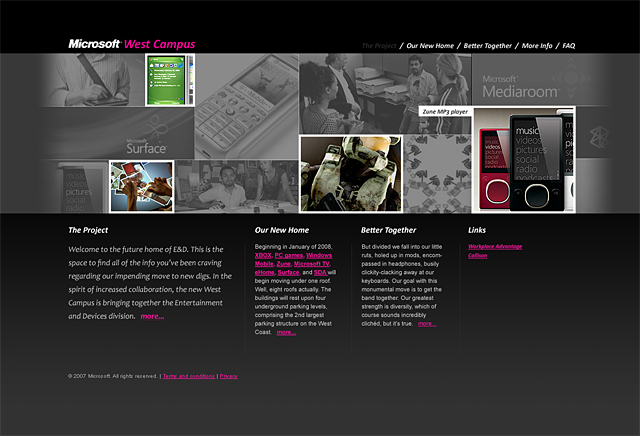 We created page designs and an animated Silverlight banner to showcase the forthcoming innovative new office complex. Callison is now able to keep their client and other interested parties informed of project status and plans, throughout design and construction.